If you are at all less than pleased with your current internet browser then this list is definitely for you. Trying out a new browser is easy and hassle-free (in most cases), so why stick with something that is driving you crazy when you could try out something new that may be perfect for you? Anyway, here is our list of the 10 Best PC web browsers. 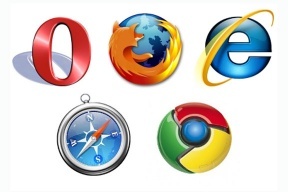 Hopefully it will help you choose the right browser for your personal needs. Internet Explorer held the number 1 position in web browsers for a long time. In fact, it accounted for about 95% of usage during the years 2002 and 2003. It has, however, faced tough competition with Mozilla Firefox and Google Chrome coming into the picture. Internet Explorer ships standard on many products that utilize Microsoft Windows operating systems, and is considered a very standard and default web browser. It is efficient, fast, easy to use, and offers a full range of features that make it the second most popular PC web browser in the world today. SeaMonkey is a free, open sourced internet suite that is based on the source code that was used by the former 'Mozilla Application Suite'. It is community-driven, and free to download for any user. Being an all in one application suite, SeaMonkey offers internet browsing, a web feed reader, email, an HTML editor, web development tools, and IRC chat. Some of the more prominent features include tabbed browsing, a session restore feature, lightweight themes (which can be used to personalize the look of your browser), a popup blocker, a 'find as you type' feature that streamlines searches, and a feed detection feature that lets you know when new feeds are available to view.